Central Computer Technologies, Inc. (CCT) is dedicated to providing a professional and affordable internet presence for business and the individual user. We offer a personalized service which is both affordable and of high quality. Visitors should want to come to your website because it offers the information they need. Your information should be presented in a manner that is creative, simple and easy to navigate. We skillfully create original designs (and redesigns) of any scale to provide you with a website that people will enjoy visiting and rave about to others. That’s good advertising! We are devoted to helping you maximize your potential through the internet. Are you after a web presence at an affordable price? Is your current website not generating the interest you think it deserves? We can also assist in the development or re-development of a website that will give potential customers a true impression of your business. As web designers/developers we can focus our full attention on each customer — giving you that personal touch that we believe is so important. We will earn your trust through our ability to understand in detail the current issues you’re facing and the business goals you’ve set out to achieve. Gone are the days of fixed-width pages and tables. With the evolving array of desktops, tablets, phones, and devices on the market, our job is to ensure you look your best on every screen. 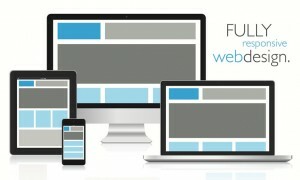 That’s why we design responsive websites that dynamically change according to screen size. Many websites we build are based on powerful content management system (CMS) platforms such as WordPress, the world’s #1 CMS. A CMS platform enables you and your team to make instantaneous content updates anytime and anywhere, without the hassle of third-party content managers. We can also assist you with all of your print design needs, from Logos to brochures — we do it!